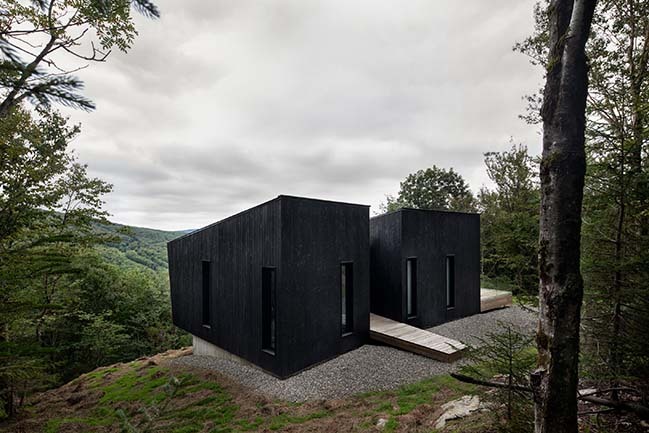 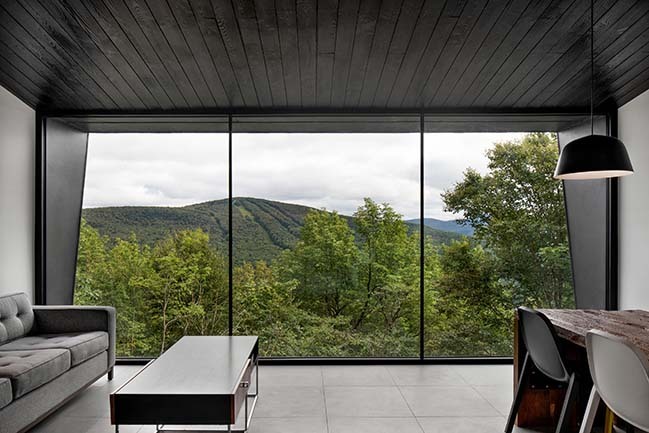 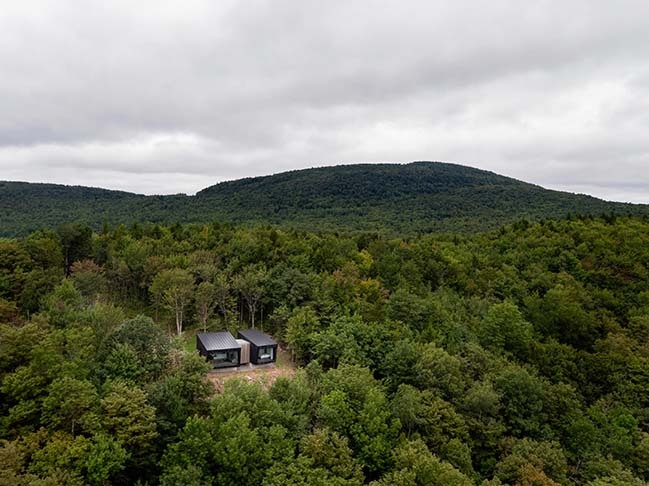 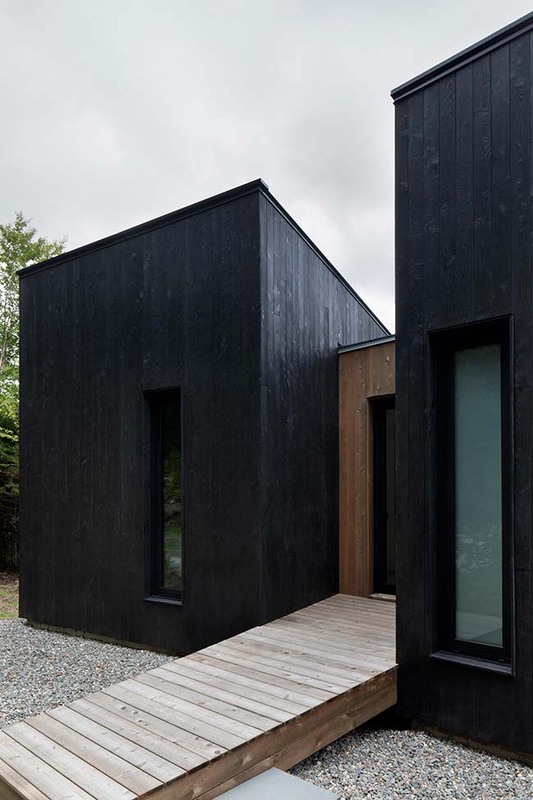 Perched on a mountain in the Eastern Townships, the Crowhill cabin is based on its timelessness and minimalism concept. 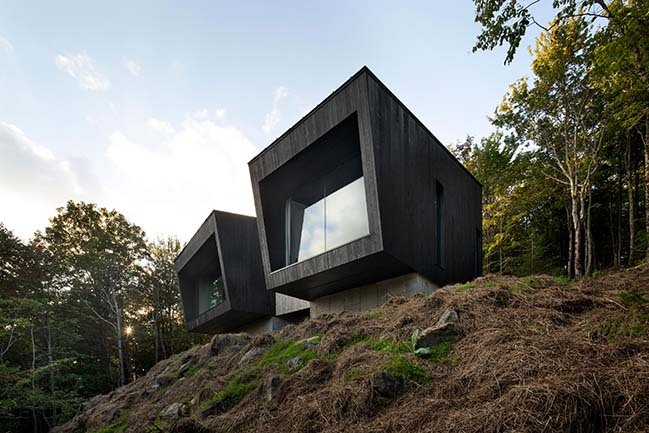 By its angular shape, the project aims to underline the beauty of the surrounding landscape. 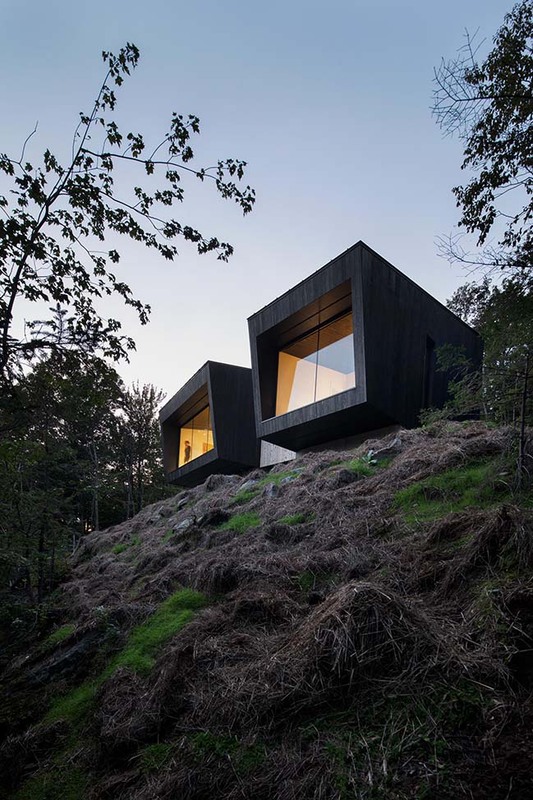 From the architect: The project takes advantage of the rocky cape to anchor its raw concrete foundations, on which rest two volumes advancing towards the treetops. 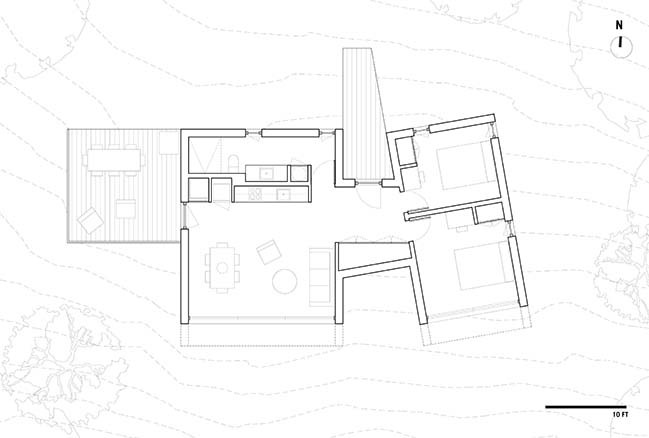 The first module contains the living areas while the second has two bedrooms. 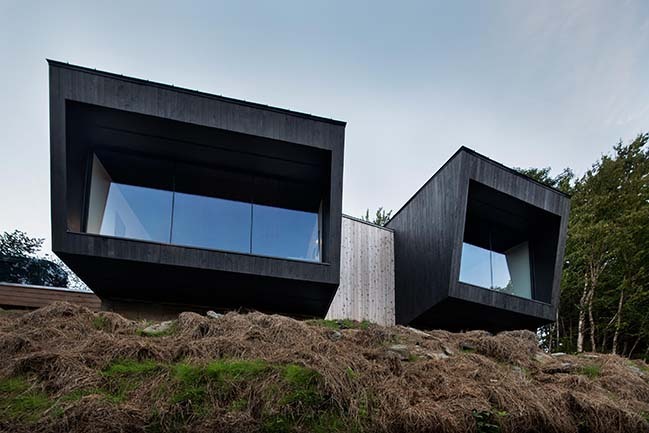 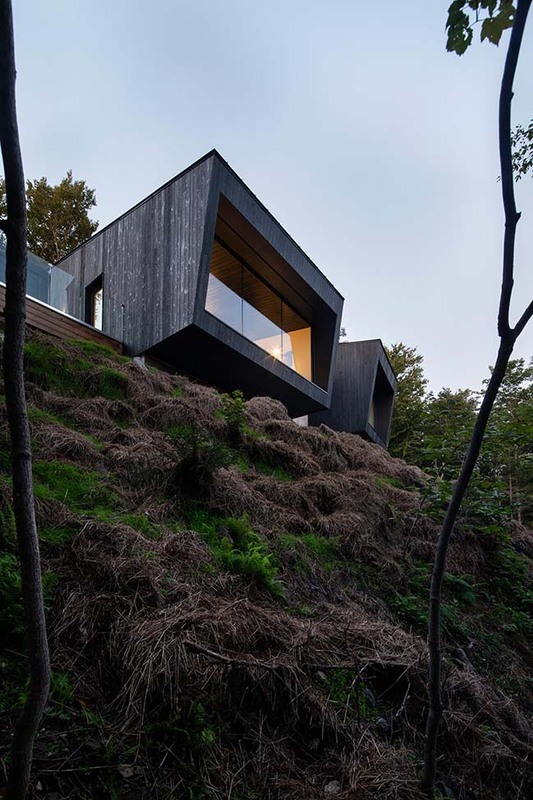 By accompanying the natural slope of the ground, their sloping roofs reinforce the sensation of sliding over the cliff. 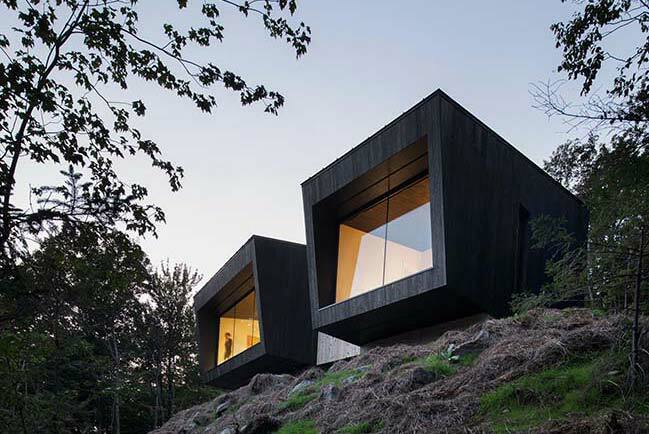 The entrance forms an in-between space between the modules that are oriented differently from each other’s. 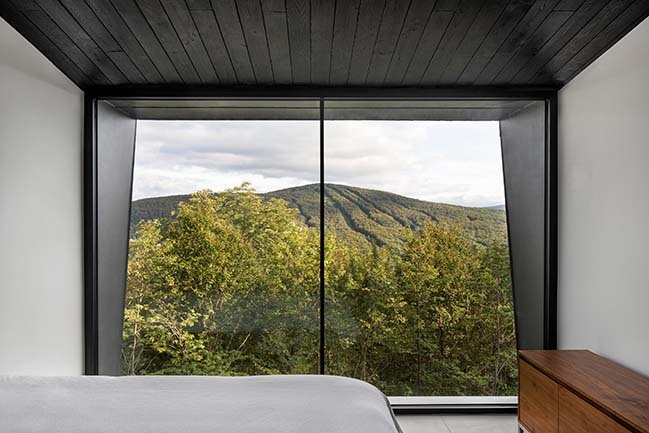 Inside, the panoramic view becomes the focal point of the living spaces and of the master bedroom. 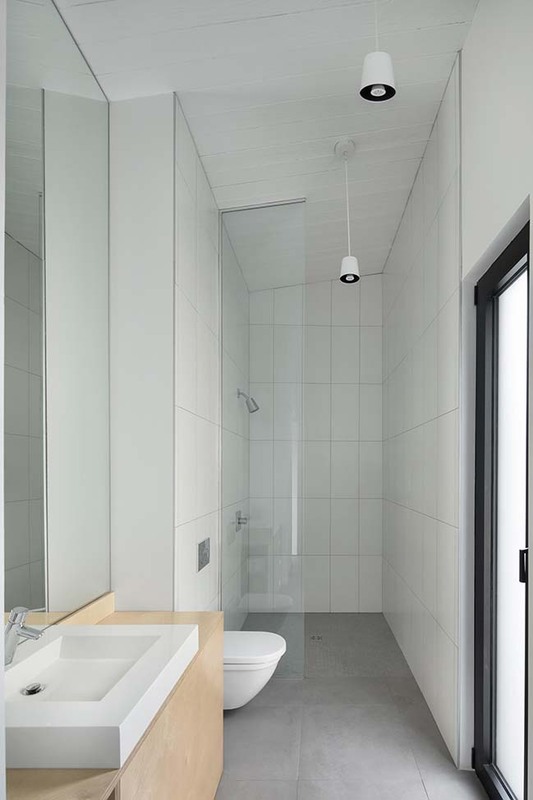 On the floor, the ceramic with a concrete finish unites all the spaces and reminds the natural finish of the foundations. 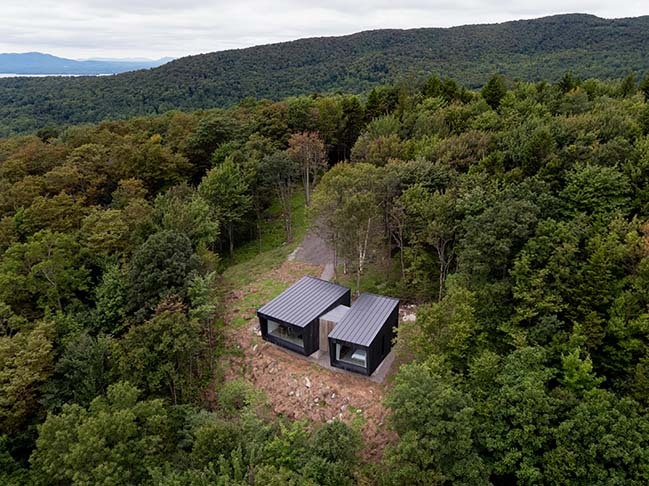 While enhancing the landscape, the project above all considers the cabin as a minimal and contemplative space, inviting tranquility.